Think there’s a dearth of reasonably priced accessories to enhance the features and overall performance of the Apple Watch? Think again, because the Elago W3 stand – a smart and affordable accessory – is here to change that perception. 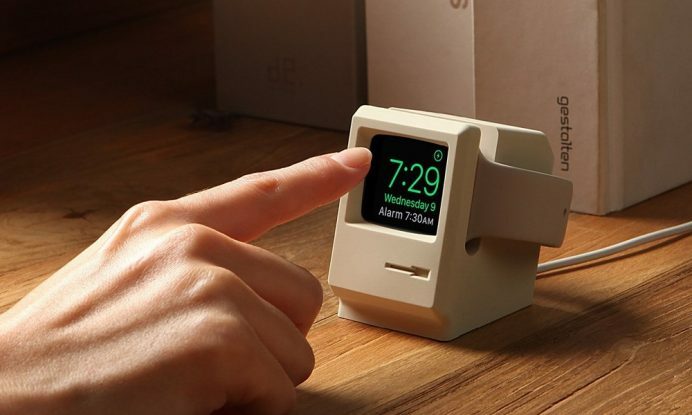 Crafted from immaculate scratch-free silicone, the Elago W3 is a real game changer, as it transforms the Apple Watch into a stunning vintage Macintosh computer. How? You may think. 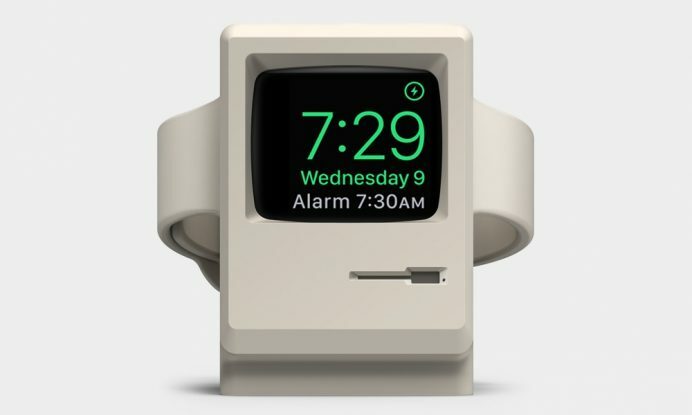 Well, the Elago W3 is not only designed in a manner that makes it work perfectly with all Apple Watch series, but it also encases the smart wearable behind a facade that bears an uncanny resemblance to a vintage Macintosh classic. The stand supports Nightstand Mode and works with either charger, however the latter does not form a part of the package. Adding to the Elago W3’s authenticity is a phony disk drive slot that the stand comes equipped with.